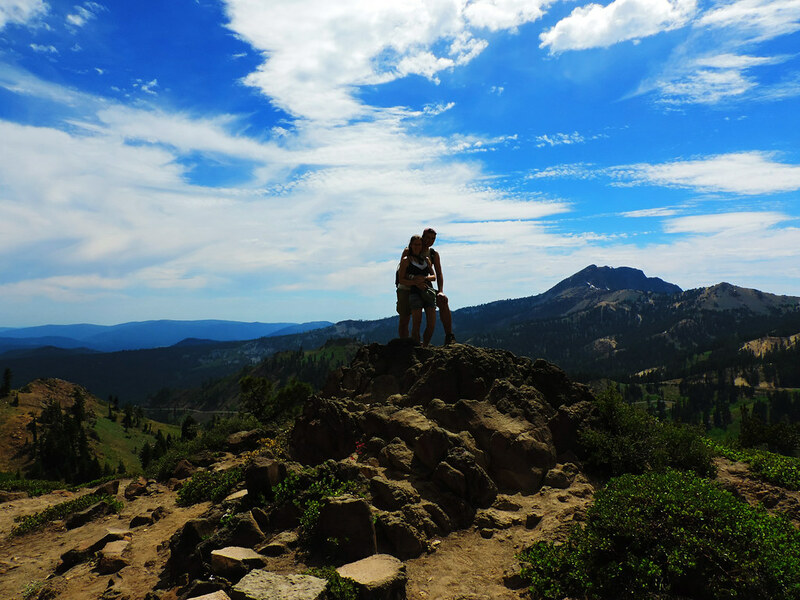 Lassen Volcanic National Park was a real hidden gem for us in California. It was definitely not on our bucket list, because we didn’t know about this park at all before we had moved to California. Looking back now it would have been a great loss to miss it! Another incredible fact is that all four types of volcanoes found in the entire world are represented in this park! That means shield volcano (Prospect Peak), plug dome (Lassen Peak), Cinder Cone (Cinder Cone) and composite volcano (Brokeoff Volcano). We’ve been to the American Museum of Natural History and loved their exhibition about Nature’s Fury earlier. And it was so awesome to come to this park and actually found the real examples of what we learned about volcanoes in the museum. 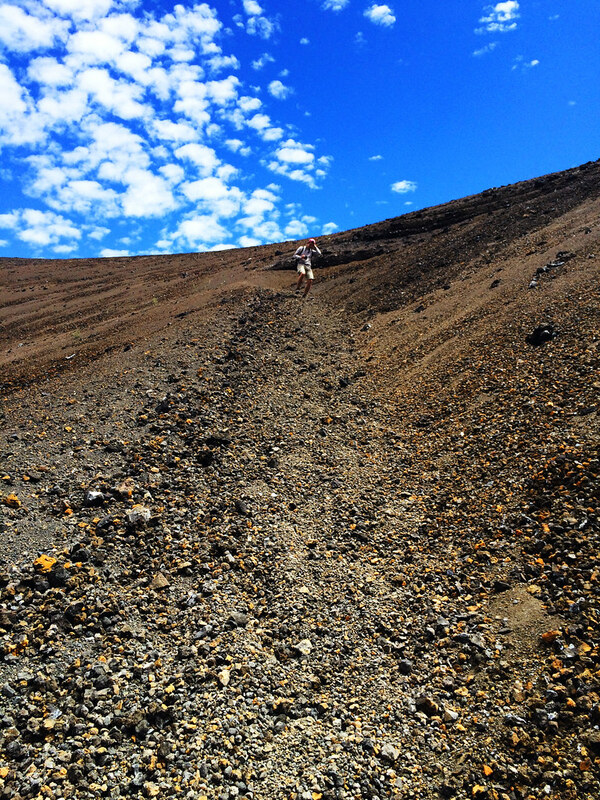 Hiking Cinder Cone was one of our best experiences here and I’ve already written an entire post about it – you can read it here. This volcano looks exactly like how we imagine volcanoes. 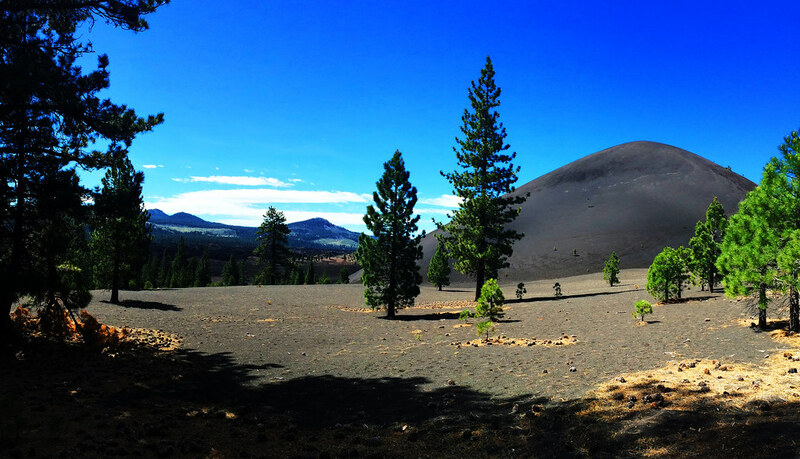 We could see how things have changed since the eruption in the 1600s, but the lava beds around it are still there and there’s still very few plants on Cinder Cone itself. 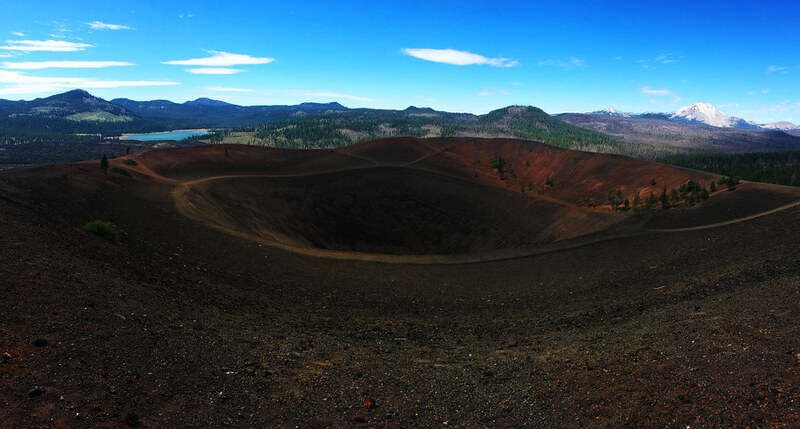 And the most fun part is that we could even hike down into its crater! It’s not in the central area of the national park, but in the more remote Butte Lake area accessible by an unpaved, dead-end road. For us it was totally worth it to get ourselves and our car dirty. 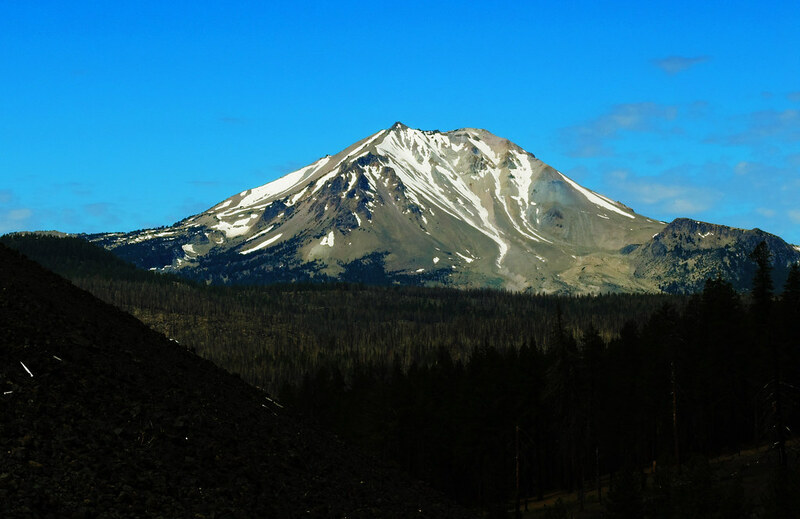 The enormous lava dome of Lassen Peak can be seen almost from anywhere in the park. It’s an active volcano and its the last powerful eruption was in 1915. But it’s still only sleeping and a lot of things are going on deep down. The most visible signs of this volcanic activity are the hydrothermal areas. 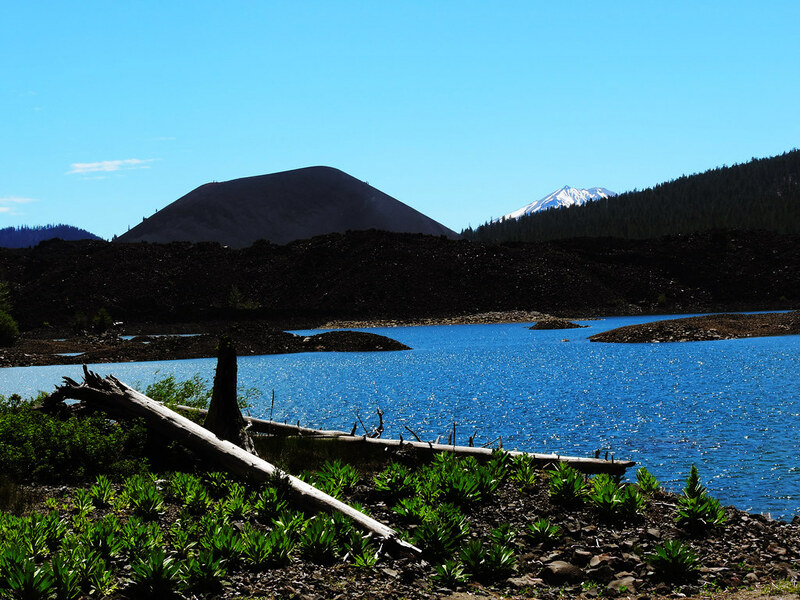 But nowadays, Lassen Peak is covered with snow almost year round. 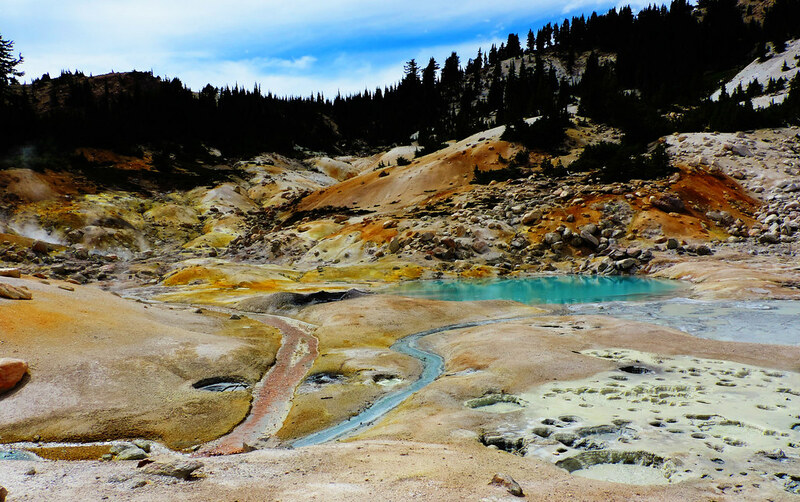 Bumpass Hell, Devil’s Kitchen and Sulphur Works are all hydrothermal areas with hot springs, steaming fumaroles and boiling mud pots – and with that typical rotten egg smell. 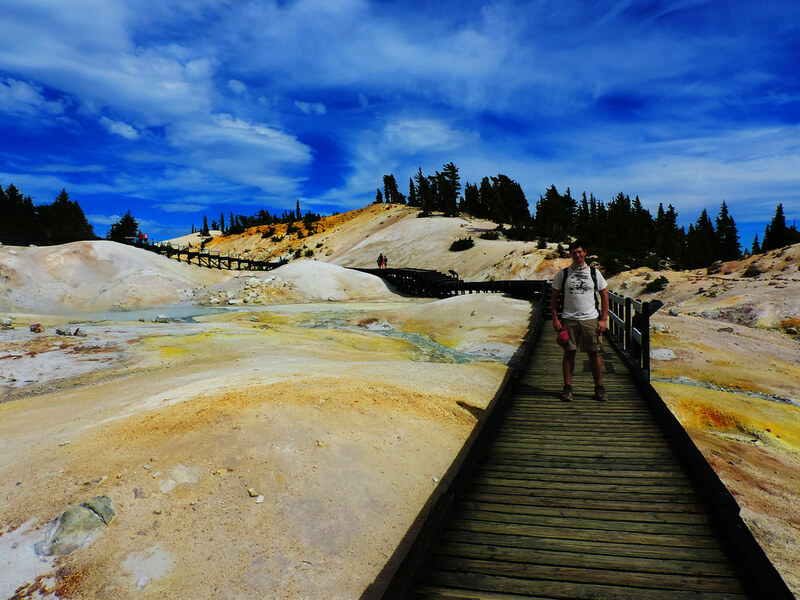 Our favorite is Bumpass Hell which is the largest and the most interesting. A living book to learn about volcanic activity! As for the bad smell, for us it was part of the experience, so it was fun. It can only be smelled in those hydrothermal areas anyway and we could have our picnic elsewhere in the park. Boiling Springs Lake is exactly what its name suggests: a boiling lake. Now how cool is that? It doesn’t look like a usual lake anyway, because it has a special greenish color and some steaming fumaroles and mud pots around it. It’s accessible by a short hike from Warner Valley Campground. 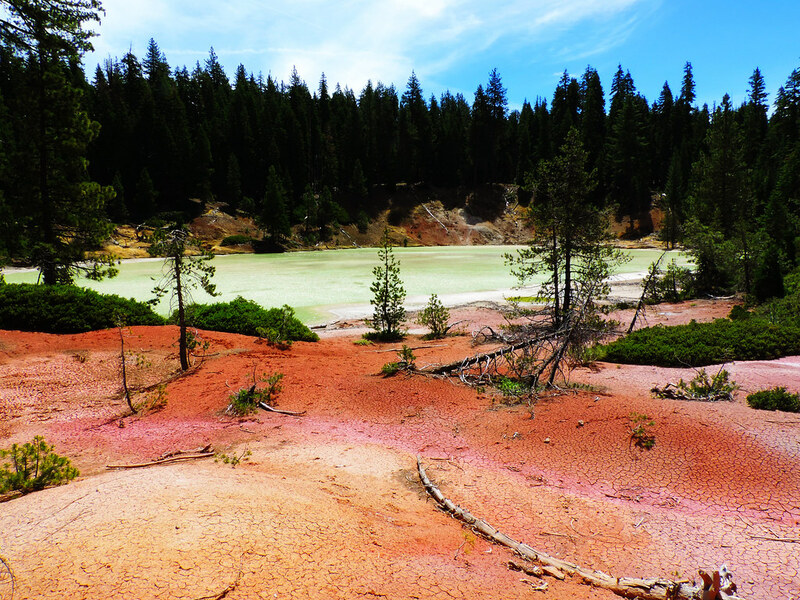 Hydrothermal areas are places not to have a picnic. Where then? 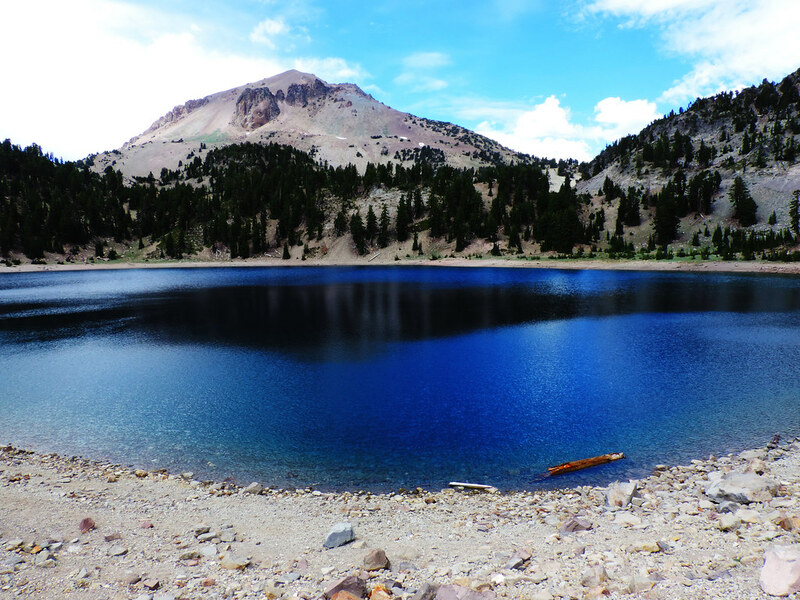 Our favorite spot was Lake Helen, a perfectly deep blue lake just south of Lassen Peak and right next to the road. 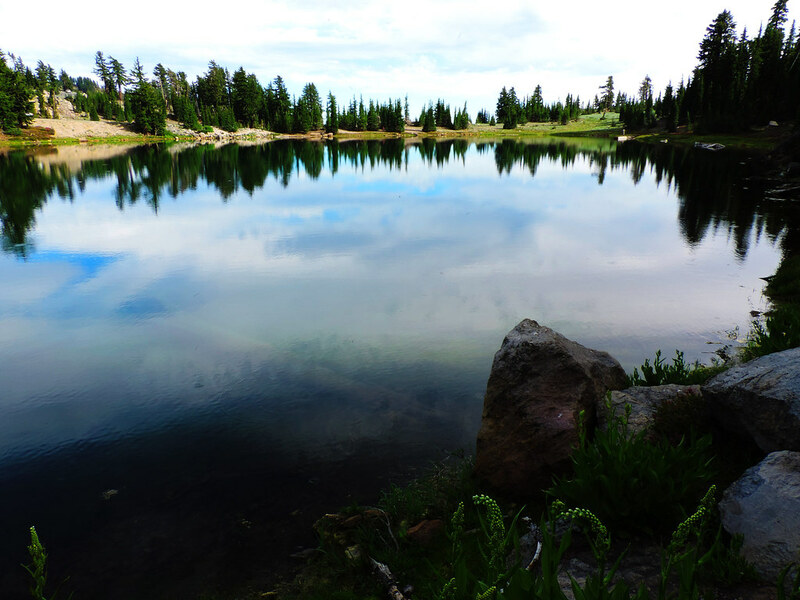 There’s several beautiful lakes which are also just next to or very-very close to the road: Emerald Lake, Summit Lake and Manzanita Lake in the central area of Lassen Volcanic and Butte Lake and Juniper Lake in the west area. There’s a short, easy and very scenic hike (or rather just a walk) both around Butte Lake and Manzanita Lake which you shouldn’t miss. Terrace and Shadow Lakes Trail also rewards you with amazing views of lakes and peaks, but you need to do a bit of work to reach them: it’s a 4 miles moderate hike. There’s a lodge (Drakesbed Guest Ranch) and several campgrounds in the park. The only lodge is expensive and busy as you can expect, so you better book it well in advance or search something in the nearby towns. We are not the passionate camper kind of people, we prefer having a bed and a bathroom, so we ended up staying in inns which are closest to the area we planned to visit. Red Bluff or Redding can be an option if you visit the west side of the park and Chester or Susanville are options for the east side. Of course, expect to drive about an hour to the park and back from these towns. Still it was worth for us as we could book cancellable rooms for fairly reasonable price. On the other hand, it takes time to go from one place to another in the park anyway. Roads in the park can be covered with snow from October-December to May-July depending on the weather. Once the roads are open, it’s good to go. The best thing to do is checking National Park Service homepage about current road and weather conditions. It’s hard to predict the exact date of road openings though as sudden snowstorms in late spring can affect it. Our advice is to be flexible and book cancellable accommodation if you plan for June/July. We went at the end of June and we had hot, sunny weather. 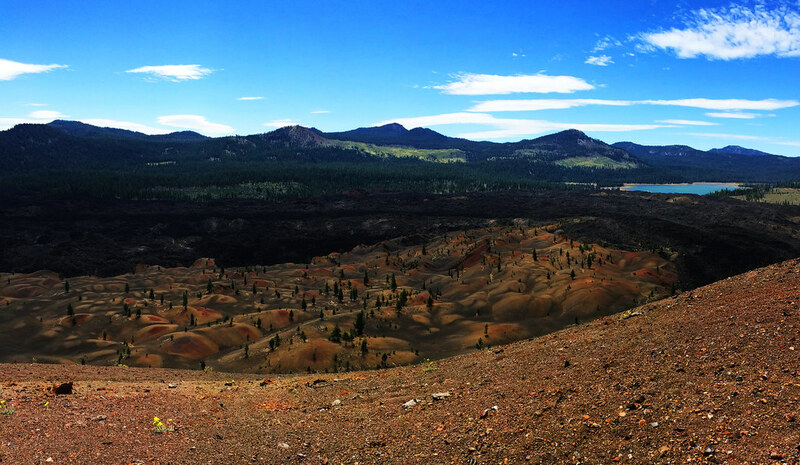 Have you ever been to a volcanic park? Are you excited to visit one?